Atlas Sand and Rock Inc.
Atlas Sand and Rock provides the north central Idaho, southeast corner of WA and the Palouse regions of Washington and Idaho with concrete, sand, gravel, crushed rock and other related aggregate products. 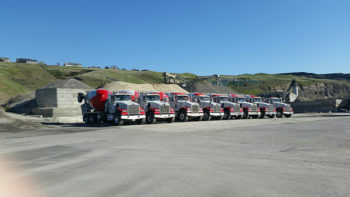 Atlas operates two stationary concrete plants in Lewiston, ID and Pullman, WA to service the region's concrete needs. 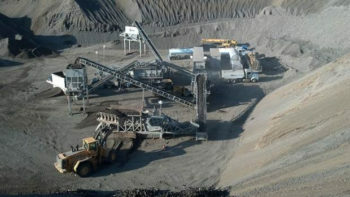 Established in 1930, DeAtley Crushing Service is the Premier rock crushing company in the Pacific Northwest. Now in its fourth generation, DeAtley Crushing Service utilizes seven fully independent mobile rock crushing plants to provide rock crushing and stockpiling services to its numerous customers. If you need crushing services, call DeAtley Crushing Service today. Eucon Corporation is the Parent Company of three subsidiary companies which conduct business operations primarily in the Pacific Northwest. Eucon is a significant participant in the mining, aggregate products, ready-mix concrete, rock crushing, and construction materials industries. The Company is ranked #72 in the Nation for concrete producers by Concrete Producer Magazine, and #25 for aggregate producers by Aggregates Manager Magazine. Eucon Corporation is a privately-held family-owned company that was founded in the 1930's. Each of the Company's subsidiaries either provides a niche product or service, or serves a certain geographic region. DeAtley Crushing Service, Inc. provides rock-crushing services throughout the Western United States by utilizing seven mobile rock-crushing plants. Atlas Sand & Rock, Inc. provides North Central Idaho and Southeastern Washington with pre-mix concrete and aggregates. And lastly, Mainline Rock & Ballast, Inc. provides the railroad industry with ballast from its rail-access site in Sprague, Washington. After more than eight decades in business, Eucon has established itself as a leader in the West in aggregate and concrete sales. The Company's success is founded on its experienced and dedicated management team, a relentless commitment to quality, exceptional customer service, a loyal customer following, and the best employees in the business. At Eucon, excellence isn't a goal, it's a habit. A representative is awaiting your call, we look forward to speaking with you. Eucon Corporation is the parent company to five primary subsidiary and related companies whose operations span from the Canadian Border to Southern California, and from the West coast to North Dakota. Eucon Corporation is a family-owned, privately-held American company that has been providing quality concrete and aggregate products, and related services, for more than 75 years.